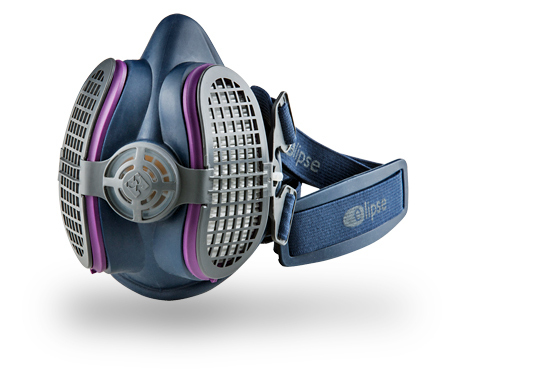 The Elipse P100 Respirator introduces comfortable respiratory protection to MPS Inc.’s line of unique personal protective equipment. Lightweight, flexible materials and 4-point adjustment adapt to the contours of your face, providing a secure seal without constriction. The compact design is ideal for confined spaces, keeping the mask clear of ear and eye protection, while decreasing dead air space in the mask for less moisture build up and greater comfort. A large non-return valve further reduces breathing resistance and user fatigue. One-of-a-kind pleated HESPA filters provide maximum filtration in the smallest possible package while protecting against dust and fumes, including coal, silica, lead, asbestos, iron ore, other heavy metals, and many more contaminants. 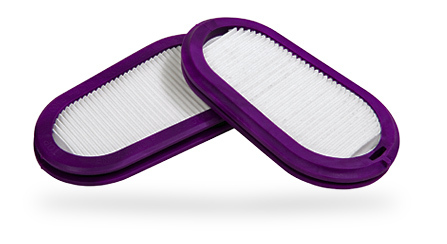 The HESPA filters are resistant to humidity, replaceable in seconds, and offer excellent efficiency with minimal breathing resistance (details in sidebar). 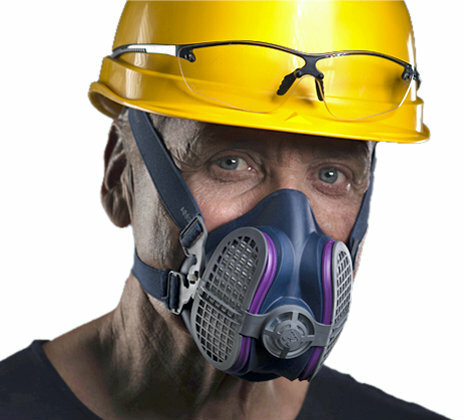 The Elipse Mask keeps workers comfortably protected in mines, steel mills, foundries, cement plants, textile mills, glass facilities, shipyards, and around toxic chemicals. Wherever you need streamlined respiratory protection, the Elipse Respirator will keep you breathing comfortably day after day. Elipse is approved to NIOSH 42 CFR 84. Elipse® and HESPA® are registered trademarks of GVS. HESPA is a high-efficiency type of HEPA filter media, developed by GVS.